Piecing Together History is something you should read. 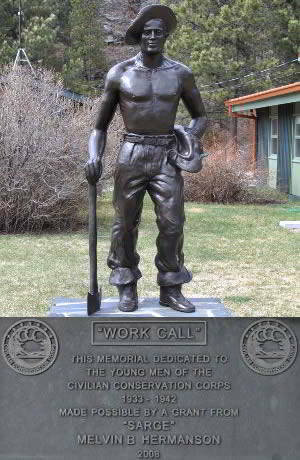 It was an anonymous donation to the CCC Museum of South Dakota. A badly damaged photo in two pieces and rolled tightly in a plastic zip bag. At first, the reaction was to place the pieces flat in a large manila sleeve and archive. One could even have argued that it was not worth saving. 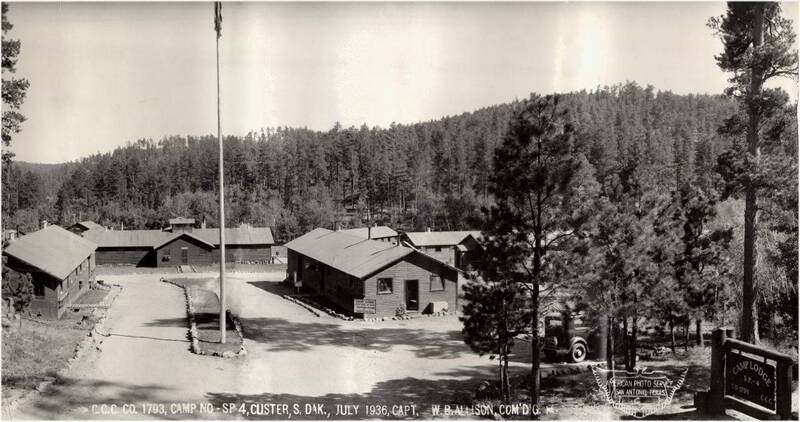 Civilian Conservation Corps Camp Lodge was located at what is now The Black Hills Playhouse, just off the Needles Highway and Iron Mountain Road in Custer State Park in the Black Hills of South Dakota. Would it be worth the time to reproduce this photo for display and share it with Museum visitors? Let's give it a go. After several hours of work using a couple of computer programs (not even imagined in the 30s); was the resulting photo of CCC Camp Lodge worth the time and effort? You can be the judge. To the person(s) who thought enough to drop of the badly damaged photo we can only say, Thank You. Was the resulting photo of CCC Camp Lodge worth the time and effort?